The Spanish Civil War has always intrigued me. Unfortunately, almost all of the books about it spend most of their type on the political history instead of the military history, especially all of the disparate groups on the Republican side. This is a bit strange because this War was used or looked at by the entire world to see what weapons, tactics, and strategy worked. Many countries came away with the wrong answers to the above questions. Some, particularly the Germans, came away with the correct answers to these military questions. Looking at this issue of World at War was a bit like going home, and a bit strange. It was like going to see your childhood home after it was entirely renovated. The visual look of the magazine is, in a word, stunning. Some of the maps are actually a full page in size. They are also well marked and easily read. The pictures in the issue are also very well represented. The articles are very well done and full of normal information on the subject. They also have small insets that have incredibly interesting tidbits. I will give as an example of one. On December 31, 1937 four foreign correspondents were following some Nationalist units in a car. The car was hit by artillery and three of the newsmen were killed. The fourth was Harold 'Kim' Philby. Yes, that Kim Philby. I imagine the British government was not that happy he survived in retrospect. Observation post - Could the U.S. have won the Battle of Wake Island? The games included are of three battles from the Spanish Civil War: two in 1937,and one from 1938. The battles are Belchite, Teruel, and Alfambra. Both of the battles of Belchite and Teruel occurred because the Republicans were trying to take pressure off the Republican and Basque strongholds in the Northwest of Spain. The Nationalist forces had decided to conquer those areas after their failed attempt to conquer Madrid. 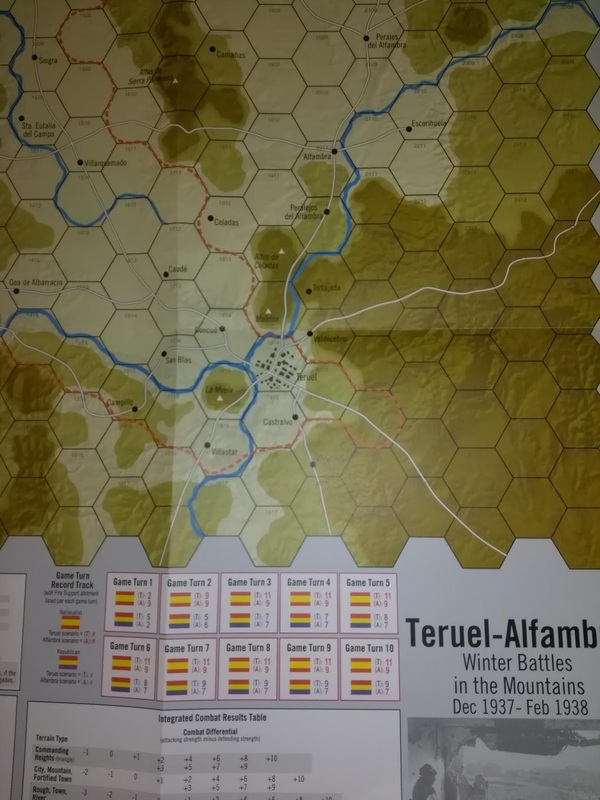 Alfambra simulates the last battle for the city of Teruel in 1938. The battle areas are both somewhat small, with both of them fitting on a standard 22" x 34" map. One battle is orientated one way of the map and the other is the opposite. They both have their own turn record track etc. The maps are well done with terrain, roads, and towns easy to see and read. 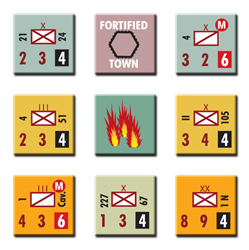 The games come with, naturally, a smaller number of counters. There are actually 180 of them. The game uses the 'Fire and Movement System' for its rules. 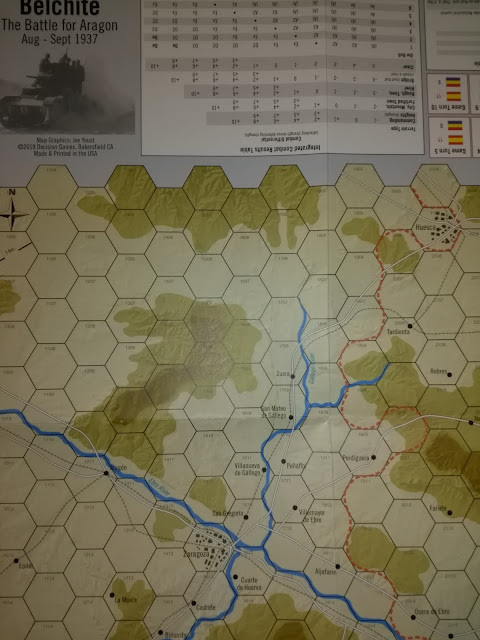 Belchite: You count up the amount of cities/towns that the Republican player controls on the Nationalist side of the front line, then subtract the number of cities/towns that the Nationalist player controls on the Republican side of the front line. If the number is seven or greater the Republican player wins. Teruel: Whichever side controls the city of Teruel at the end of the game wins. 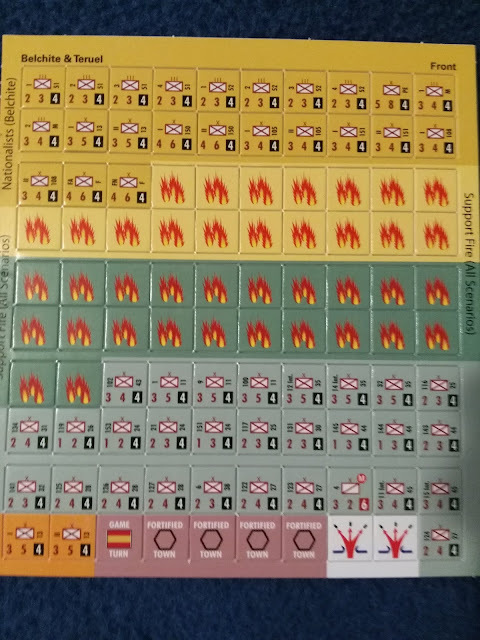 Alfambra: The Nationalist player must control any five hexes of the North-South road anywhere from hex 2505 to 1717 by the end of turn eight and still hold them at the end of the game. 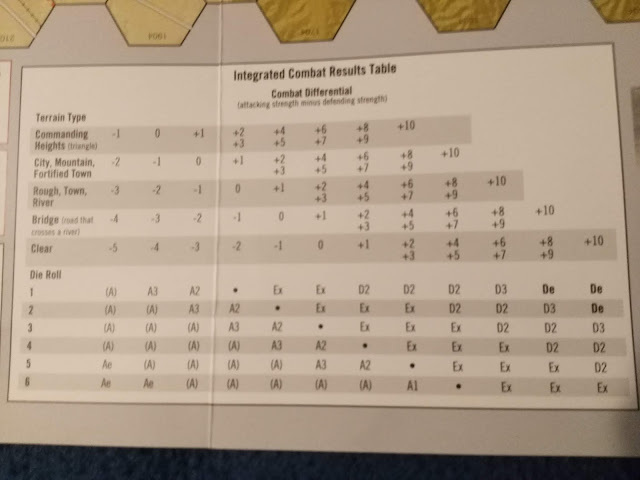 The rules are only sixteen pages in length, and the setup and separate battle rules take up four of those. The rules are in color and are well spaced and easy to read. The small maps and low counter density allows players to play multiple times to try out different strategies. Just as it was historically, the battles are a grind for territory. You are not going to be able to do any sweeping blitzkrieg moves (unless your opponent mistakenly allows it). 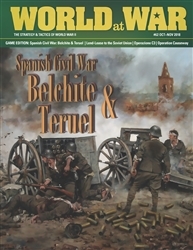 The Spanish Civil War was mostly a replay of World War I with newer armaments. The rules and the units/terrain make the game historically accurate that way. This was why so many countries took away the wrong lessons from this war. The Soviets were very advanced as far as armored warfare for the time. However the Spanish Civil War had them rethink all of their ideas and that is why they fell so far behind the Germans by 1941 (among other reasons). The wargames that have come out of Strategy&Tactics down through the years, and its offshoots, have given me tons of gaming pleasure. This issue is like many others in that respect. 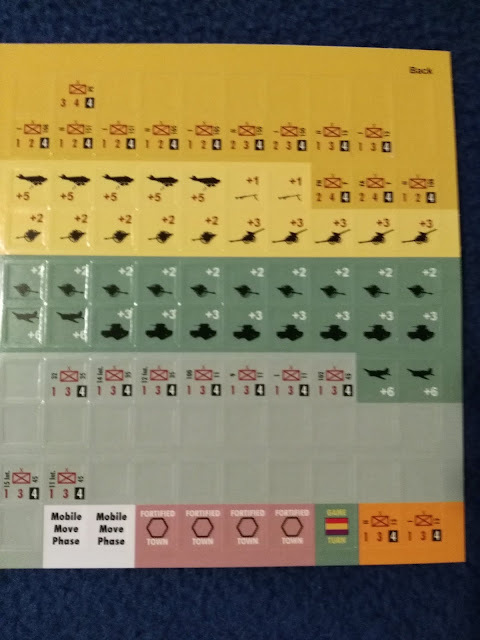 Strategy&Tactics has allowed the wargamer to game so many obscure wars and battles that we would have otherwise never seen on our tables. So, thank you for the chance to review this issue, and for all the other great gaming moments since I was a teenager.